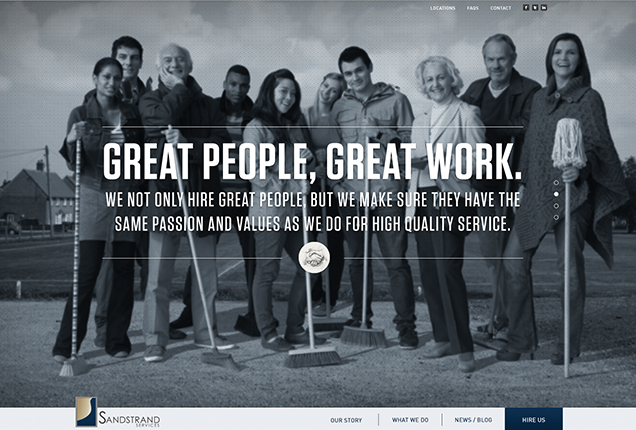 Don and Juan came to me from Sandstrand Services, a janitorial company with absolutely no web presence. They had no website and unfortunately due to the nature of their business, still don’t, but before that that came to me eager to get a new website and make a name for themselves on the web. I really liked their story and the message I came up with for their brand so included it along with my other projects. I created a responsive website for them for their on the go market. It was a site that would allow customers and employees to sign in to check updates, see schedules, and request services. They had a simple message and story. 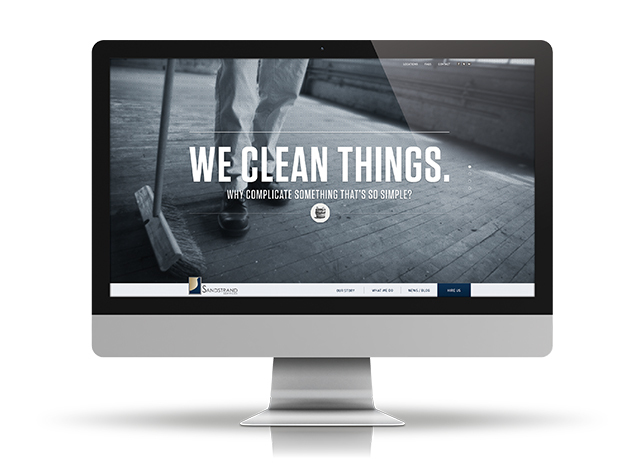 They were tired of working in a market that glorified cleaning as a tech startup. They wanted to get back to basics and just simply convey to put that they just “clean things”.